Looking around on the site, I found a post with my name I didn't remember having posted. Although I should have known my first name is not that unique, I never realized there could be 31 of me around here. Is it possible to add my last name for example? In contrast with my first name, the second one will not have many "duplicates". I got there clicking the image of my icon from the top bar. With the new design of SE, the previous answer isn't exactly accurate, though the steps are almost the same. Click on "Edit Profile & Settings"
Change your display name and Save. Note, that you can only change your display on the main site. 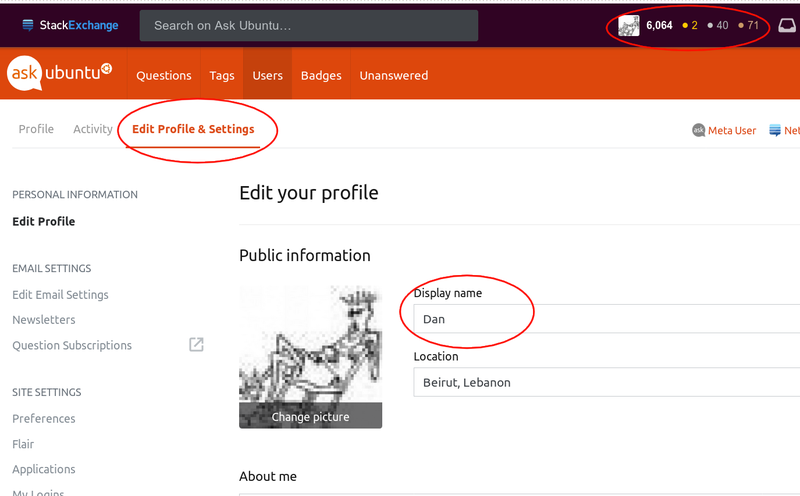 The setting isn't available if you open your profile on a meta site.